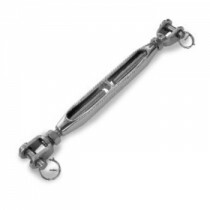 Stainless steel Turnbuckles are used to take up slack and apply tension to a rigging assembly. So it is imperative that it is made of quality material. 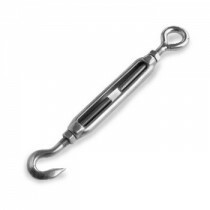 Keble's Trading offers stainless steel Hook and Eye and Hook & Hook from size 4mm to 16mm that are manufactured from the fine quality 316-grade stainless steel to give you that confidence to provide a balance between safety and aesthetic to your customers. 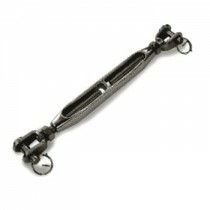 Turnbuckles are highly corrosion resistant and are ideal for architectural, marine, and other outdoor applications. 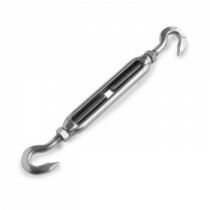 It is of top most important to us that we source our stainless steel turnbuckles from highly reputable manufacturers to give you peace of mind that what you are delivering to your customers is top caliber handrail system sans the skyrocketing price tag. 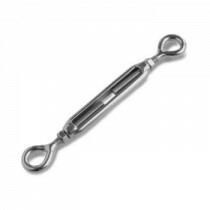 In Keble’s Trading, our mantra is to supply top-quality stainless steel Turnbuckles at an affordable price. Talk to us! We speak your language! We understand your business! Call us at 1800.067.687. No inquiry is too large or too small. We would love to assist you and give you a quote today!